With a blend of gelatin, sweeteners, flavorings, and colorings, gummies have the versatility to be molded into literally thousands of shapes. 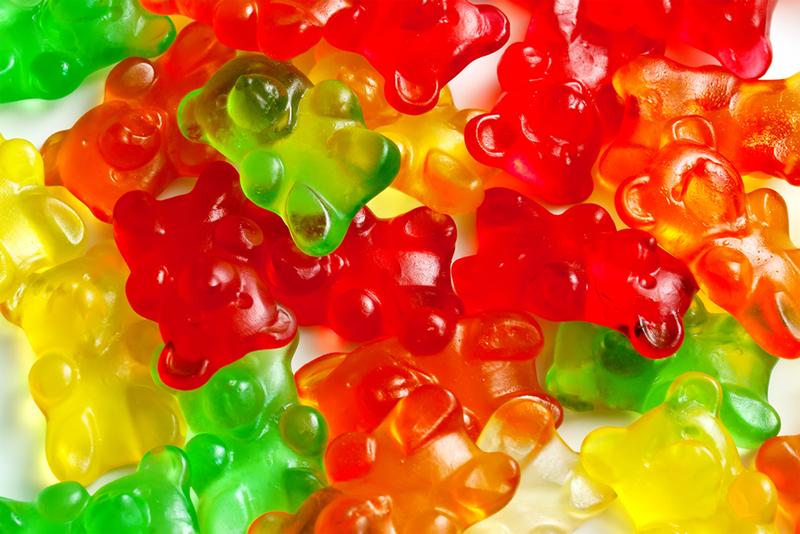 We have a specialized facility for the production of gelatin based nutritional gummies. Within this category we offer gummy treats for children as well as nutritional supplements for kids and adults. Gummy treats are distributed worldwide for fun and enjoyment. Nutritional supplement gummies contain added vitamins, minerals and other ingredients, providing many health benefits. 1. Traditional Gummies: made with sugar, glucose and gelatin. 2. Low Sugar Gummies: sugar/glucose has been partially replaced to reduce calories or the glycemic index for the end consumer. 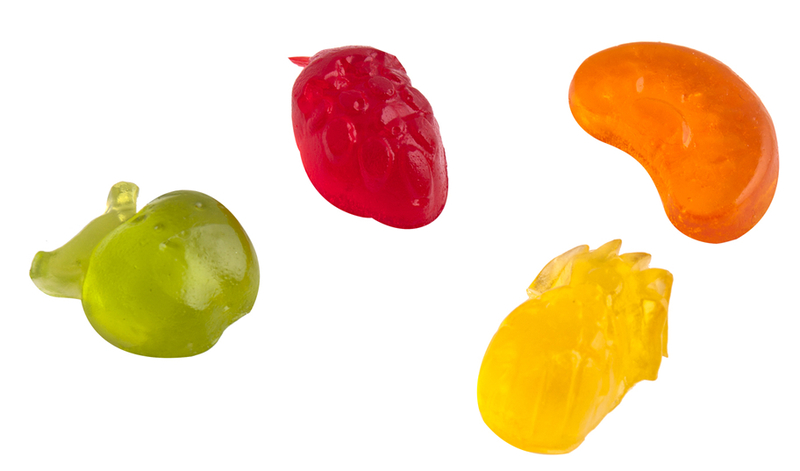 Diverse forms of these gummies can be made using sugar substitutes such as Sorbitol, Maltitol, or Sylitol. 3. Sugar free Gummies: sugar and glucose have been totally replaced by the sugar substitutes mentioned above, or by Polydextrose, Fructo-Oligo-saccharides or Inulin which also contribute dietary fiber. 4. Other Gummies: gummies with multivitamins, minerals, Omega 3, calcium, probiotics, or other nutritional ingredients. Gummies flavors can be extracted directly from the natural source or artificially synthesized for identical profiles to the natural flavor.